Contrary to contemporary popular belief, tartan patterns have no traceable historical links with specific Scottish families or clans. These associations developed from the early nineteenth century, when they were actively promoted by historians and writers, as well as woolen manufacturers and tailors. Tartan, however, was by 1600 established as part of the culture of the Highlands of Scotland. It was widely worn by all levels of that society and it formed a distinctive element of Highland dress, which was largely based around the plaid or breacan. Men wore the plaid belted, and women adopted it as a large shawl. Up until the late eighteenth century, the setts worn were largely determined by the locality and the tastes of the weaver and purchaser. 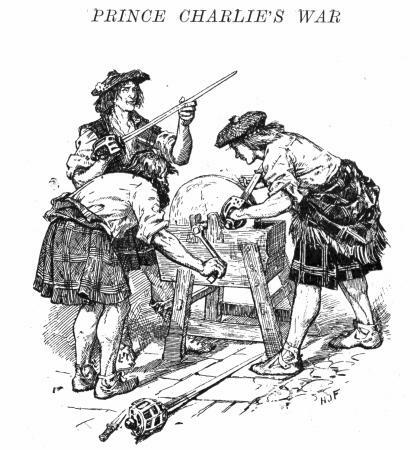 "No man or boy within … Scotland, shall, on any pretext whatever, wear or put on the clothes commonly called Highland clothes (that is to say) the Plaid, Philabeg, or little Kilt, Trowse, Shoulder-belts, or any part whatever of what peculiarly belongs to the Highland Garb; and that no tartan or party-colored plaid or stuff shall be used for Great Coats or upper coats, and if any such person shall presume after the said first day of August, to wear or put on the aforesaid garments or any part of them, every such person so offending … shall be liable to be transported to any of His Majesty's plantations beyond the seas, there to remain for the space of seven years. (Disarming Act of 1746) "
See also Kilt; Scottish Dress. MacKillop, Andrew. "More Fruitful than the Soil": Army, Empire and the Scottish Highlands, 1715-1815. East Linton, U.K.: Tuckwell Press, 2000. Rawson, Helen, John Burnett, and Anita Quye. "The Import of Textile Dyes to Scotland: The Case of William Wilson and Son, Tartan Weavers of Bannockburn, 1780-1820." Review of Scottish Culture 13 (2000-2001): 18-29. --. 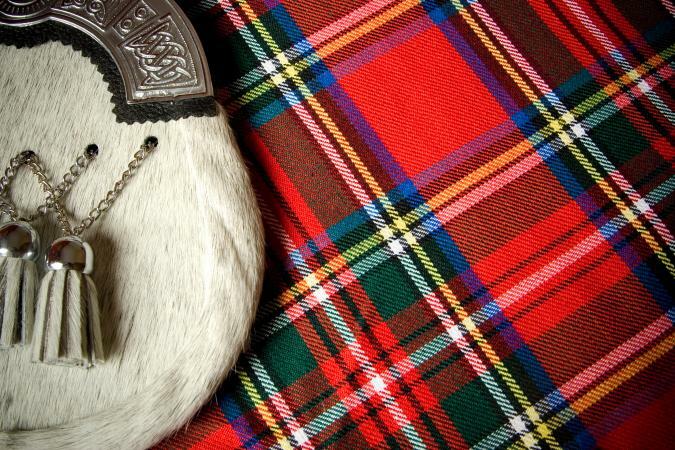 Tartan: The Highland Textile. London: Shepeard Walwyn, 1990.